ຜູ້ນໍາເກົາຫລືເໜືອ Kim Jong-un ໄປເບິ່ງຟາມປູກເຫັດແຫ່ງນຶ່ງ ແລະຖືກຫຸ້ມລ້ອມໂດຍພວກຄົນງານ, ວັນທີ 16 ກໍລະກົດ 2013. 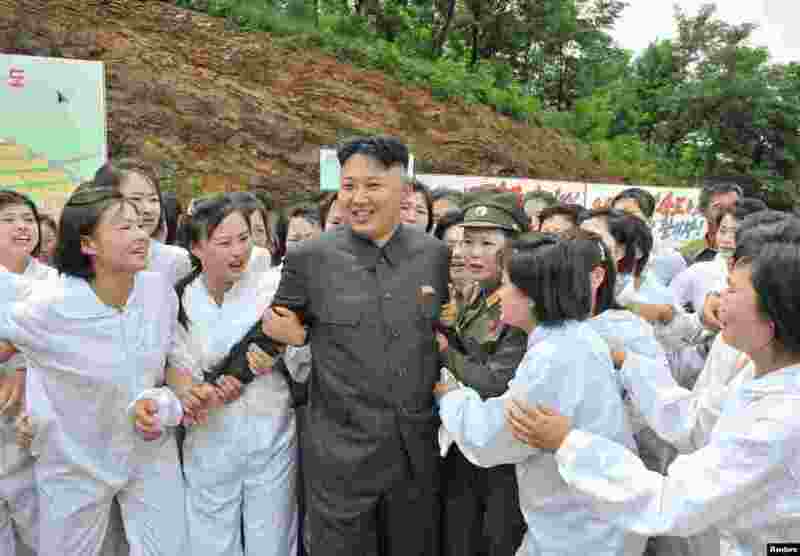 1 North Korean leader Kim Jong-un visits a mushroom farm in this undated photo released by North Korea's Korean Central News Agency (KCNA) in Pyongyang. 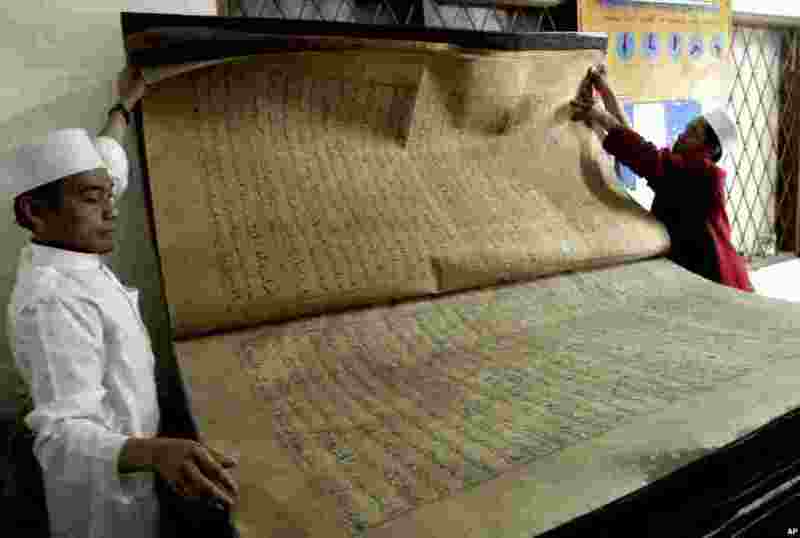 2 Teachers show a giant Quran displayed at Al-Ashriyyah Nurul Iman boarding school in Parung, West Java, Indonesia. 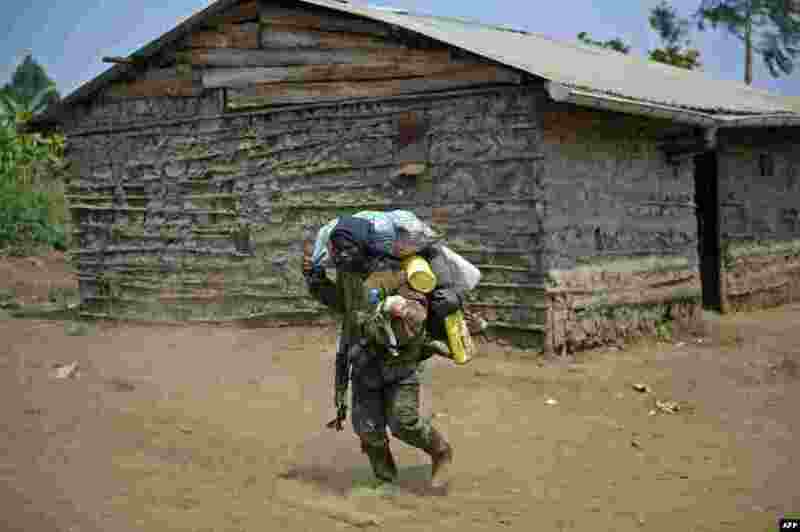 3 A Congolese army soldier, holding a dog, walks through the village of Rusayo, which was the scene of heavy clashes on July 15, about 13km from Goma in the eastern region of the Democratic Republic of the Congo. Combat continued between the national army and M23 rebels. 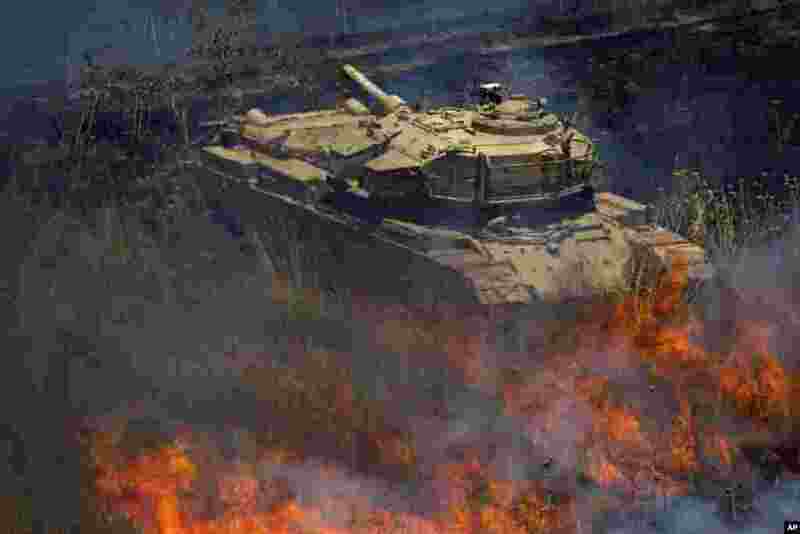 4 An old tank is surrounded by fire following explosions of mortar shells from Syria on the Israeli controlled Golan Heights. Three mortar shells exploded on the Israeli side of the border fence with Syria on the Golan Heights. No casualties or damage were reported from the incident.